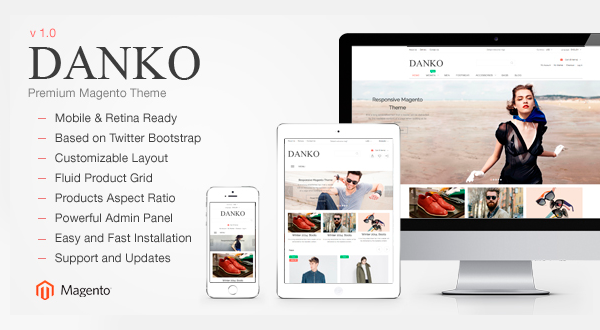 Danko is multipurpose, responsive and customizable Magento template based on the latest Bootstrap Framework. Admin panel has a lot of settings: different headers, footers, page layouts. Retina ready images. Google fonts. You can choose one of three demo versions: Fashion, Food and Electronics or build your own site. Our support team guarantees to respond you within 24-72 working hours from Monday to Friday. You can send us email to http://owl-themes.net/contact.